Whether you want to get close to nature, learn about the soil and seeds, tap a tree for syrup, take pictures of wild orchids or even start your very own garden, we’ve found some budding places for you. Plenty of great indoor/outdoor flower exhibitions around the New Jersey area with educational displays, and fun things to do for kids. Tiptoe through the tulips, topiaries and other colorful blooms. Hike through the wetlands & woods or walk through beautiful gardens. Connect with nature and teach the kids the love and appreciation for the earth! Come celebrate the peak of maple sugaring season. Enjoy tree tapping demonstrations, syrup taste tests, and fun games. Good for all ages. Pennsylvania Convention Center, 12th & Arch Streets, Philadelphia, PA, 215-988-8800. Created by top horticulturists and garden designers, the 2018 Philadelphia Flower Show celebrates horticulture and water in a “Wonders of Water” display. Visitors will be transported to lush greenery with flowers and plants on display everywhere. See magical tropical jungles, temperate forests, native woodlands and arid landscapes, showcasing the astounding plants that thrive in each environment. Kids will love the “Butterflies Live” experience, with more than 1,000 butterflies fluttering around. It’s Cool to Think Blue! 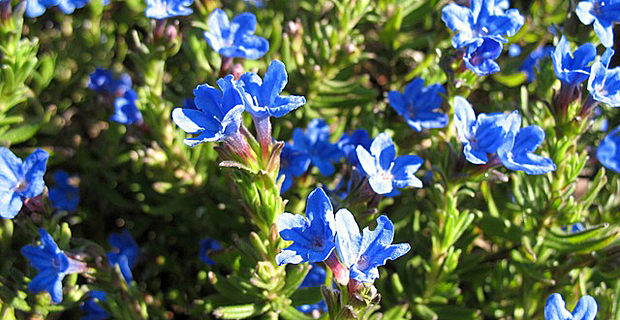 See one of the rarest colors in the plant world. Blue plants and foliage adorn the Main Conservatory and Exhibition Hall. Every Saturday, hear blues artists performing live. Fabulous Orchid Show. 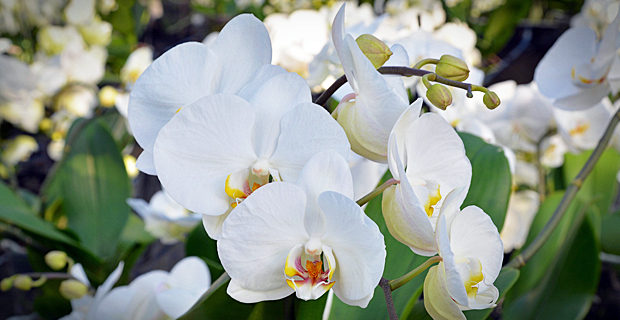 Come see thousands of beautiful orchids, spectacular in color, design, and display. Featuring Belgian Floral Artist Daniel Ost with his unique and creative floral orchid arrangements. Through March 13, 2018 - Wintertime Wonders: learn about the wonders of plants and animals in winter. March 20, 2018 - May 18, 2018 for Spring Fun: watch animals and plants wake up from winter with seeds sprouting, buds bursting and birds nesting. In general, this 12-acre Adventure Garden is perfect for youngsters to explore nature and plant science. Featuring seasonally changing programs with hands on activities and take home projects. Experience a force of nature with colorful orchids everywhere. 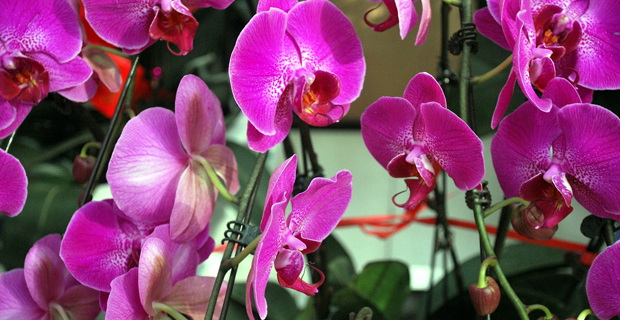 See orchids presented in unique ways - show stopping and breathtaking displays. Featuring a 12 foot tall archway made of orchids, orbs hanging from above, iconic orchid curtain, and more than 200 Vanda orchids in the Silver Garden. FREE Admission. Open year round. Explore 54 acres of gardens and greenhouses! Take a walking tour of this living catalog of plant materials. Rose Parterre has 52 varieties of roses and over 180 bushes. The Garden Safari Backpack is great for families. Each backpack contains all you need to help you discover new ways of seeing living and non-living features of the gardens. Kid friendly one acre Discovery Garden filled with awesome plants and hands-on activities. Learn about garden wildlife and uncover mysteries of plants. Build your own bird’s nest, or check out an “insect hotel” for termites, praying mantises, and bees. Wonderful Children’s courtyard lets you sow, tend and harvest plants. FREE admission to grounds. Take a stroll through gardens, open fields, woodland, and groves of flowering trees. The Frelinghuysen Arboretum is a center for horticultural activities, educational programs, garden and flower shows. Various children’s activities throughout the year. FREE admission to garden. Open year round. Meander through specialty gardens surrounded by 1000 acres of woodlands and marked trails. Gardens feature peonies, lilacs, azaleas, wildflowers and more! NJBG is filled with vibrant colors and a place of beauty in any season. Gardens are fun for young people to enjoy! FREE. Donations suggested. It’s a place to grow for everyone. Lovely historical grounds, display gardens, and blooms. Hike wooded trails and walkways. Kids can learn about nature, the outdoors, plants, flowers, and how to plant seeds and watch them grow. Rutgers Garden is open year round with NO Visitors fee. Explore 180 acres of gardens and natural habitats. Kids can make their own discoveries about nature. Plenty of gardens to see including vegetable, flower, rain, tree collection, bamboo grove, woodland, frog pond, and more!